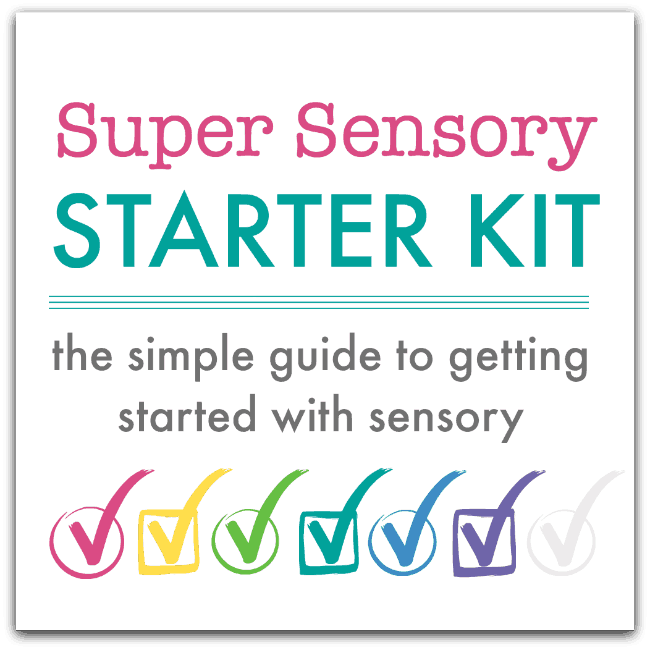 Here’s a simple sensory pay idea for toddlers using potatoes. Yesterday we were printing with potatoes but there are lots of other ways you can play with them too. How about some cooking and mashing fun? We set up a low table with lots of kitchen equipment and just explored. We had no plan other than to investigate the potatoes and see what we could do with them. We used some toy pans from our kitchen set and lots of ‘real’ cooking equipment too. You can see from the photo that L loved squishing to potato with the masher. After they’d enjoyed the sensory experience of the play the game then turned into role play, as they served the potatoes in their cafe. This is just the kind of play we love: everyday materials, inexpensive, new things to explore, and an inviting play space set up where the children can just get stuck in and play their own way. Are you happy to let your children play with food? I understand some people don’t like to include food in play because they think it’s a precious resource which shouldn’t be wasted. My approach to all our toys and resources is to re-use and recycle as much as we can and I try not to buy something that only has a short play time span. Some food items, such as uncooked pasta, rice and lentils can be stored and used several times but obviously when you’re using cooked food this isn’t an option. Washing off the potatoes we used to make our rabbit pictures and using them for a different kind of play is a good way to recycle them though. I can be a bit wary of letting them play with food, though Chris is more so. Mess is the issue, which is silly really because we’re a million miles from being clean and tidy people! Rosemary (4) does love playing with food, though, and Eleanor (15 months) is starting to, as well. Rosemary loves making ‘potions’, which generally involves mixing the most bizarre ingredients and then pouring them from one bowl to another. She has also enjoyed playing with oats – pouring from bowl to bowl, sieving, mixing, scraping around, and, of course, pouring them all over the floor. I think if you include cleaning up afterwards in the play, it’s probably fine and nothing to get too het up about. Though I will sometimes complain about the waste with the potion making – especially if she decides to use the extra virgin olive oil! Hi Tasha, I like to cover up everyone and the floor and then I can relax and not worry about the mess. I actually think I make more mess when I’m baking! Great way to get full use out of the potatoes! I wouldn’t have ever thought of it as a waste if it’s being used for learning purposes. Trees are a valuable resource but I don’t think any of us are limiting the amount of paper we offer to our children because it’s a waste, are we? It may not always be recycleable/reuseable however, it is compostable at least. Mostly when my son was little he helped and explored in a way where the food was then contributed to a meal that we ate – for instance the potato exercise above could be thrown into a soup that is going to be blended anyway etc. 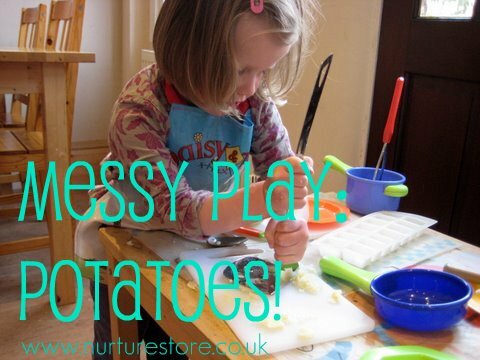 I have no problem with my two playing with food, I think it opens up some great opportunities for sensory play. However I used to work as a manager for a nursery chain and one of their policies was that food play was not to happen around meal times because they felt it encouraged children to play with their food. Over time it became a little silly as they put together a list of foods which they could and could not play with. Working in the kitchen is one of my 2.5 year old daughter’s favorite kinds of play. She wowed me tonight when she turned to me amidst mixing soaps as she “washed” the dishes to say, “Mom, look, I’m experimenting!” Ahhh, that melted my heart. As for the food question: Anything we use to make art is a valuable material (paper from trees, glue from plastics, etc.). If I make my own glue from flour and water, should I feel worse about it than if I were to use a PVA-based glue? My philosophy is to use what we make and not be wasteful. And what a wonderful lesson in resourcefulness!! I try, emphasis on try to include the kids as much as I can, but it’s not always happening. There’s just some times it’s not convenient.